Louis appointed the very first Royal Perfumer, to meet his every fragrant need – and Jean Fargeon duly rolled up his sleeves to fulfil the King’s fragrant wishes. Those original fragrances are now conserved in the Louvre Museum in an area known as ‘La Cour Marly’ (a former court at the Royal palace). Today, as we fast-forward to the 21st Century, the house of Parfums de Marly has set out to revive the spirit of this lavish period in history. 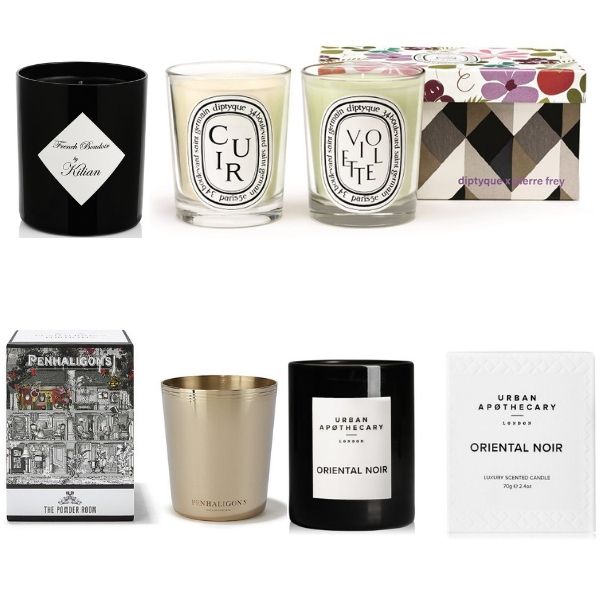 No mere museum replications, these luxury fragrances (men’s, women’s and shareable) embody contemporary stylishness, inspired by the twin passions of a king: perfume – and racehorses. King Louis, it transpires, was equally obsessed with horses, building the finest stables in the world at that time and becoming an expert in training and riding these noble beasts. 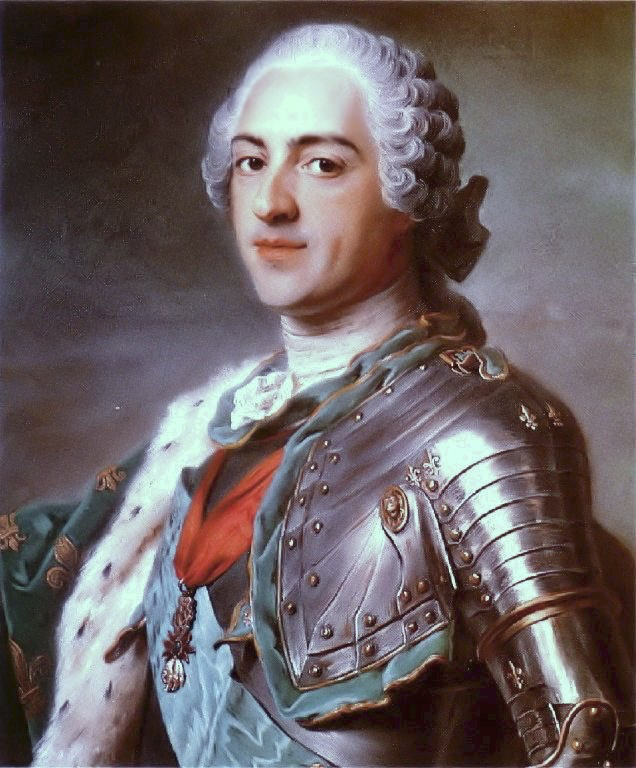 During his reign, Louis XV was offered eight Arabian horses by the King of Tunisia, which he bred with his European bloodline to create superior horses to compete in exclusive royal events. So passionately proud of this was Louis that his court perfumer was then tasked with creating fragrances named in celebration of his very favourite horses – and Parfums de Marly have taken this notion and galloped with it into modern times. 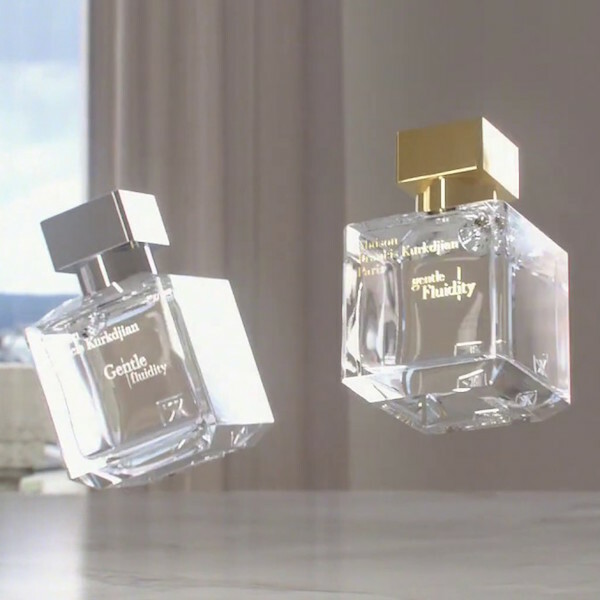 Parfums de Marly is the vision of Julien Sprecher, who was born in Saint Germain-en-Laye in 1973, and became interested in fragrance from an early age. (His father was a Guerlain representative for the Middle East.) After working in the family business distributing fragrances in Asia and the Middle East, he started his own scent venture – and Parfums de Marly was born. Today, Parfums de Marly continue that tradition, harnessing the very best of traditional and modern perfumery techniques and materials and revisiting the decadent flacon designs of perfume’s golden age. And what a fine fragrant stable they have created for us to explore – at good perfumeries around the globe, or (if you find yourself in Paris), at their gilded flagship at 26 Rue Cambon. 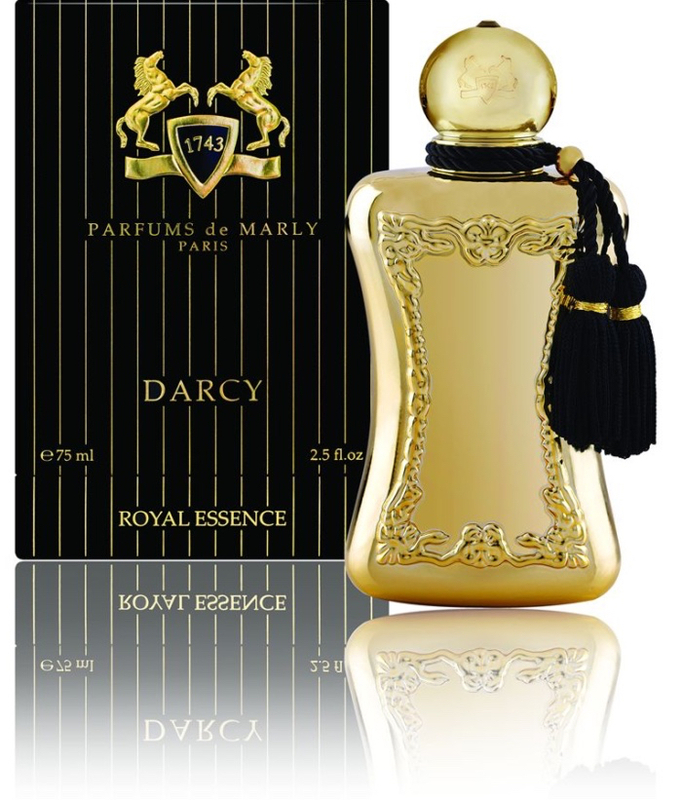 Named after a thoroughbred also known as the ‘Royal Mare’, Parfums de Marly Darcy reflects the refined and elegant spirit of its namesake. Ambrosial and sparkling with citrus and sweet floral notes at first, the musk and patchouli create a lastingly evocative base that nods to their vintage heritage yet remains totally contemporary. The golden version of the Parfums de Marly bottle (left) is one of the most dressing table-worthy we’ve seen for some time. Layton, meanwhile, is one of the more masculine fragrances in the collection (though women we know love to borrow this, too…) Bergamot opens, giving way to lavender and geranium – fresh, chic and ‘chivalrous’ all at once, as Parfums de Marly put it. Soft amber swoops in, alongside precious woods and caramelised coffee – so it’s perhaps no surprise we find this powerfully addictive. Parfums de Marly Delina, meanwhile, was created by star perfumer Quentin Bisch, a floral tribute ‘to luminous and sensual femininity’. Turkish rose, lily of the valley and peony are accented by lychee, rhubarb and bergamot, with a touch of nutmeg, flourishes of vanilla alongside cashmeran and white musks, enveloped in frankincense and rich woods. 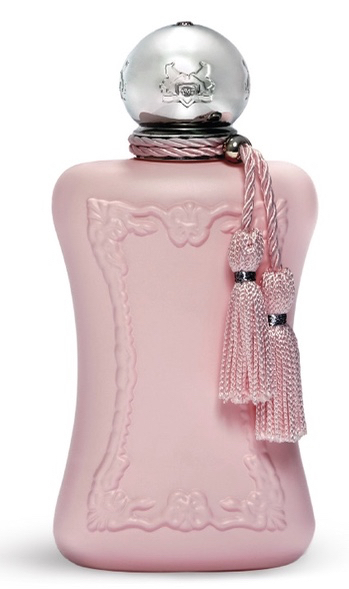 The utter prettiness of the ‘juice’ is echoed in the be-tasseled ballerina pink flacon – and truly, this is as feminine as perfume gets.